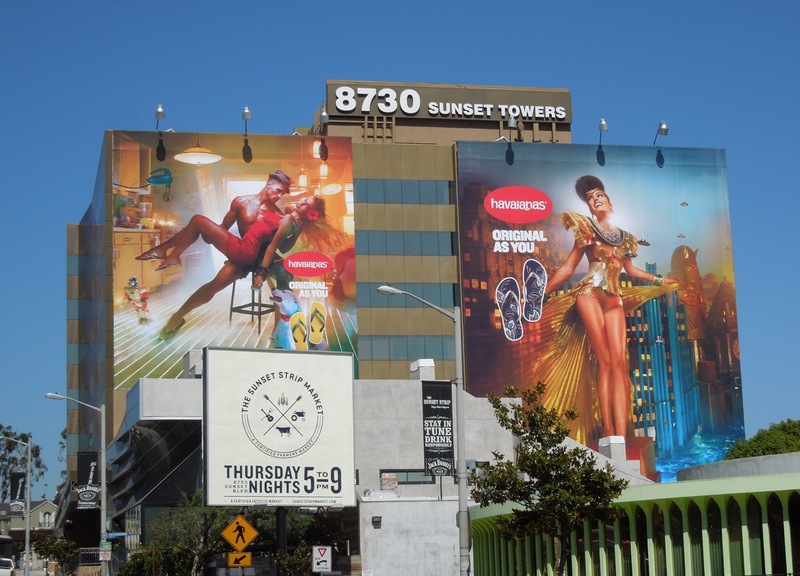 There's nothing like a splash of colour to uplift you on your daily commute, and these giant-sized billboards for Havaianas flip-flops certainly provide that. 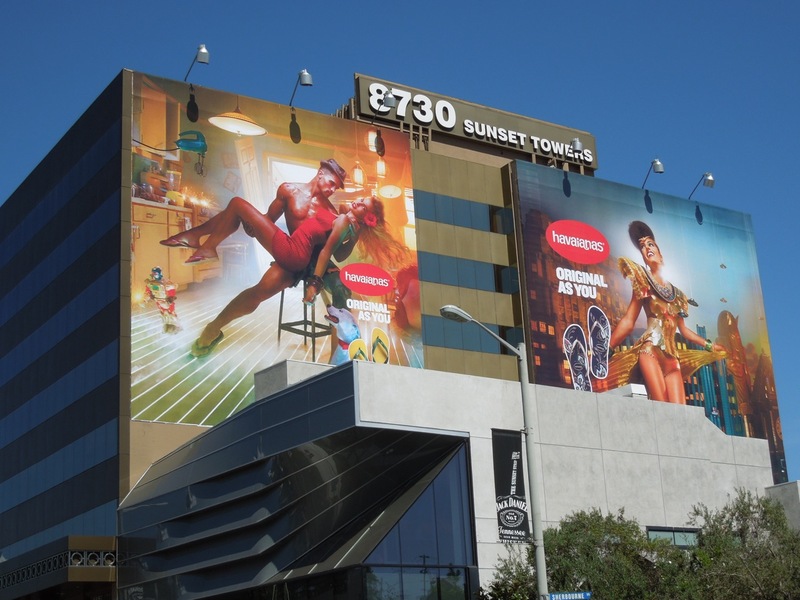 These vibrant ads with their 'Original as you' tagline light up the side of Sunset Towers with their quirky, fun and arresting visuals. 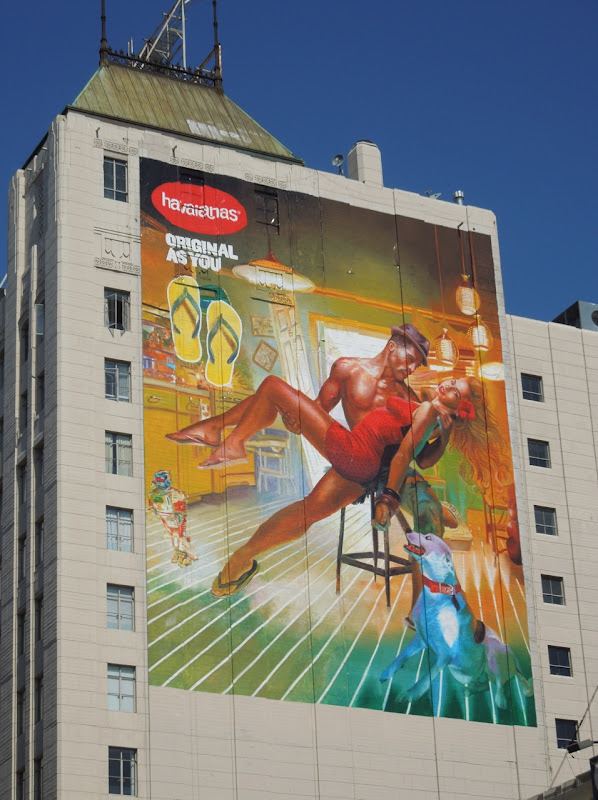 What's not to love about glowing kitchens full of levitating food-mixers and toy robots, or an Art Deco city invaded by flying saucers and a giant woman looking like an alien princess. 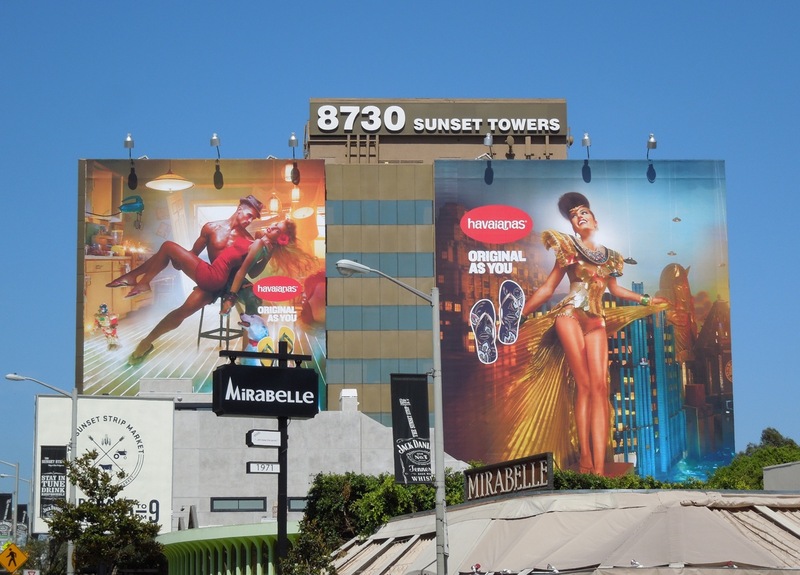 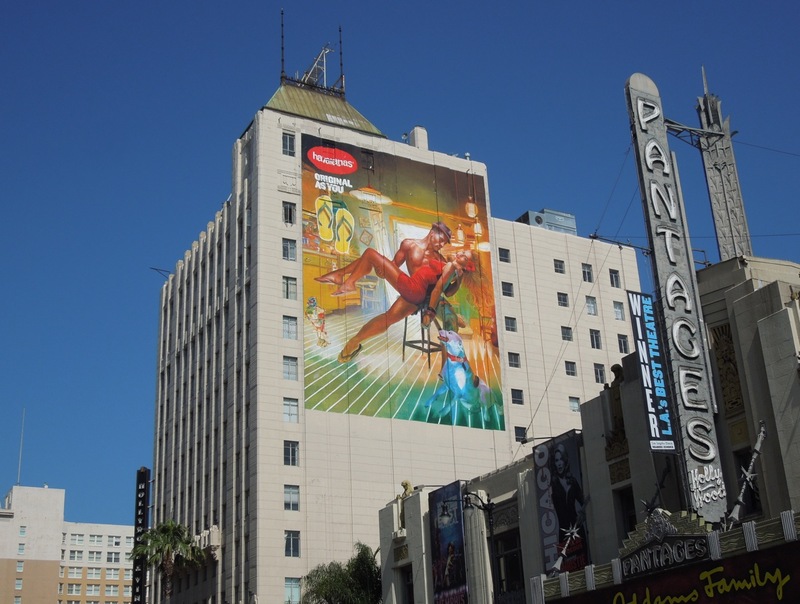 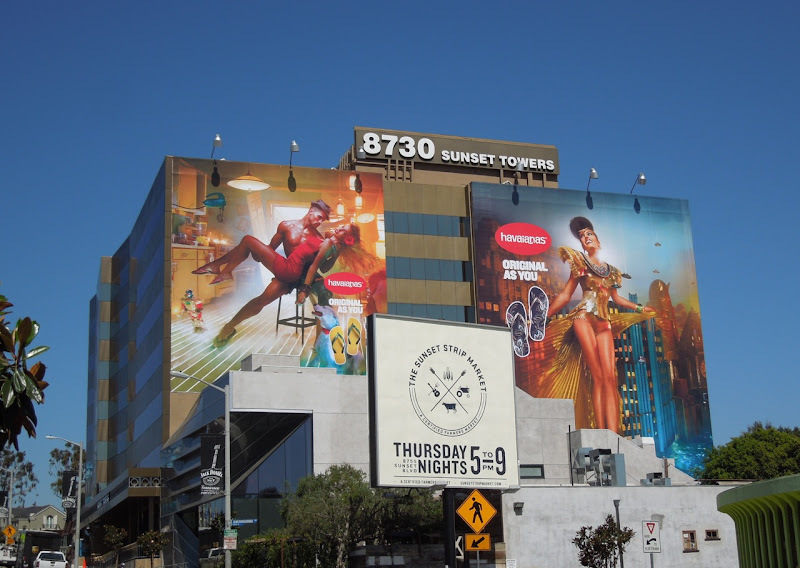 In addition this super-sized wall mural of the 'kitchen' creative was spotted above Hollywood Boulevard next to the Pantages Theatre on June 17, whilst the duo of creatives was snapped along L.A.'s Sunset Strip on June 7, 2012. If you like these, be sure to check out last year's more cartoony Havaianas flip-flop billboards, with the product much more as the star (but no less fun).